I’ve been busy this month. To my parents who kept dropping not so subtle hints that they didn’t want me to go: I miss you too! And I’m super thankful to have parents that are supportive of their child packing up and living in another country! To all my grandparents and relatives who are keeping up with my adventures – your comments mean everything! And finally, to you, my reader for coming along for the ride, thank you! 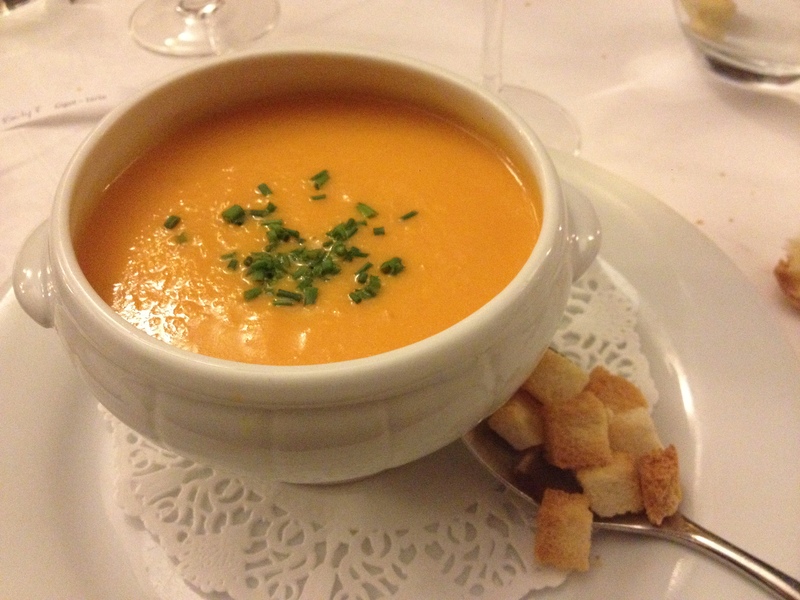 Some sort of squash soup and croutons that were promptly dumped in. So there 🙂 I just wanted a quick post to thank all the amazing people in my life and show off food pictures because I’m jealous after looking at turkey pictures all day! My cappuccino probably started out with a cute little heart in it… Then I added sugar. 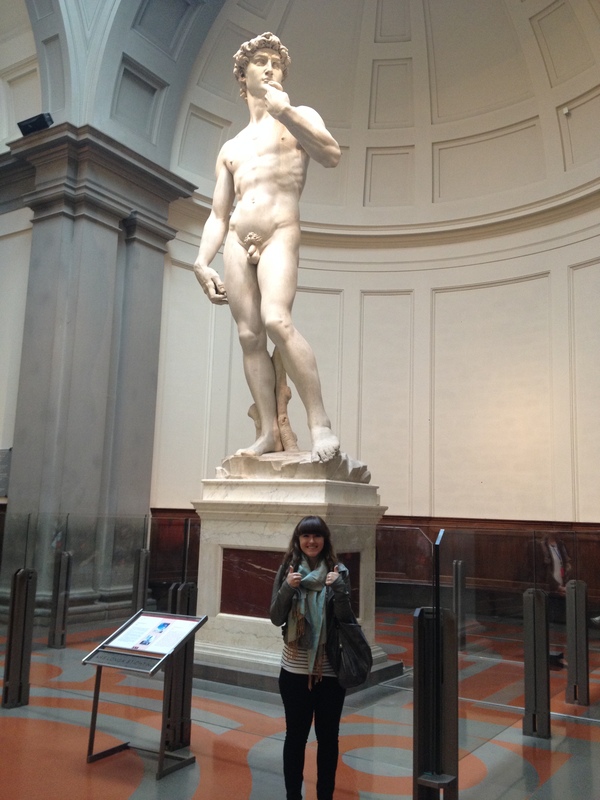 Then we headed over to meet David. I was overjoyed. One more bucket list item crossed off! 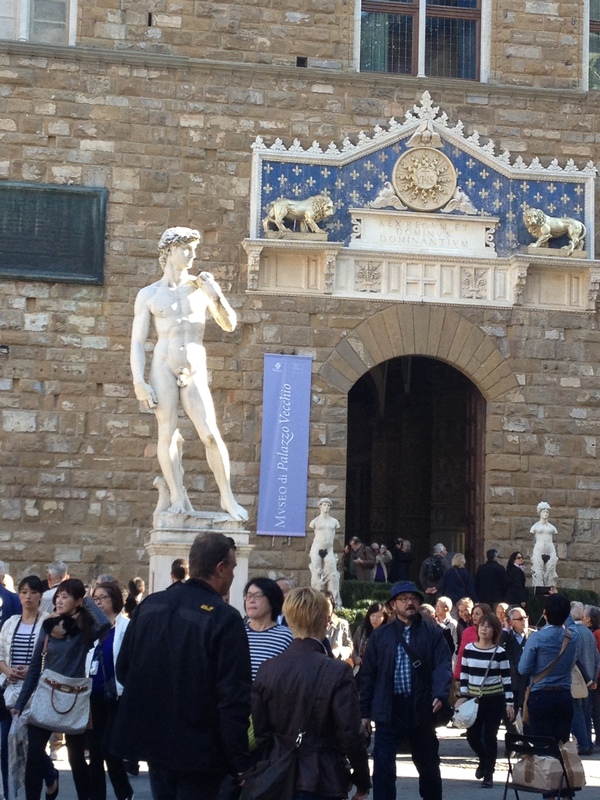 Then we visited the Medici Chapel and haggled our way through Florence’s famous leather market before grabbing lunch at the jam packed Trattoria Da Mario where we were thankfully able to find seats in the basement. 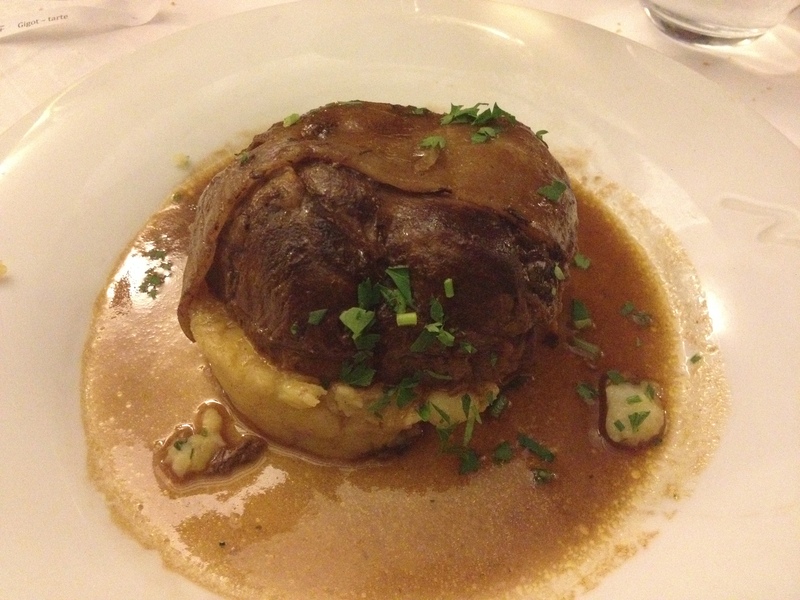 I ordered the Tuscan pot roast which was a fantastic decision. The meat fell apart under my fork. 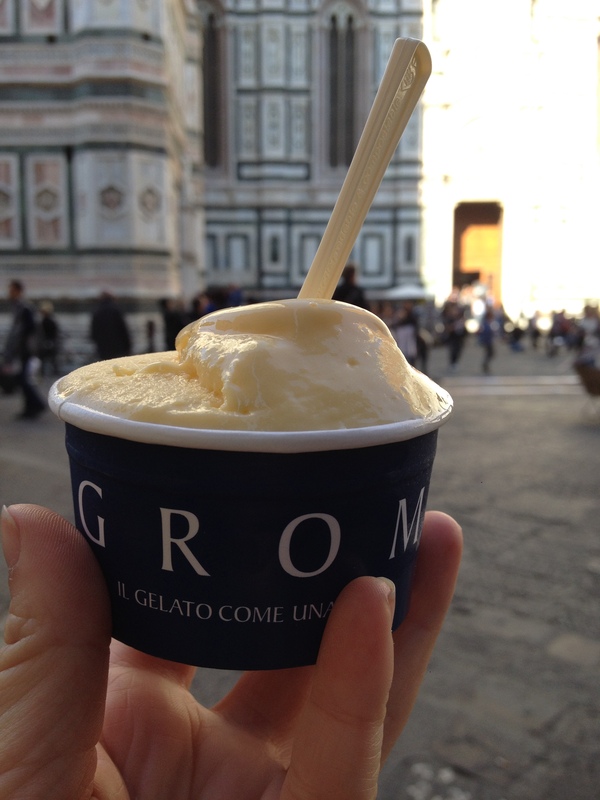 Then when we were walking through the streets we stumbled upon another Grom, an Italian gelato chain. I got the crema come una volta again, sticking with my favorite creamy lemon flavor.Oh and that’s the Duomo in the background. We wandered over to Santa Croce next and said hi to Michaelangelo, Galileo, and Machiavelli. 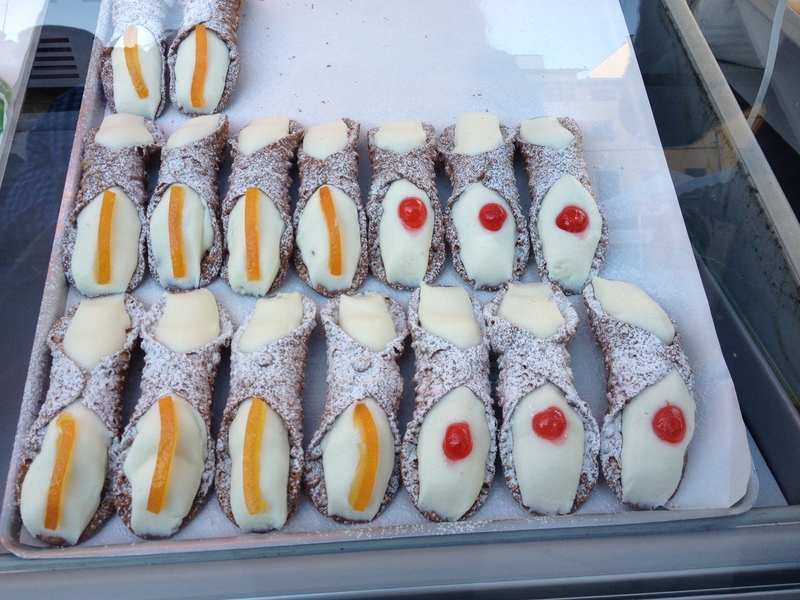 (They’re buried there) and then ate some fantastic cannoli at this giant open air market in front of the Basilica that was there for a festival or something. 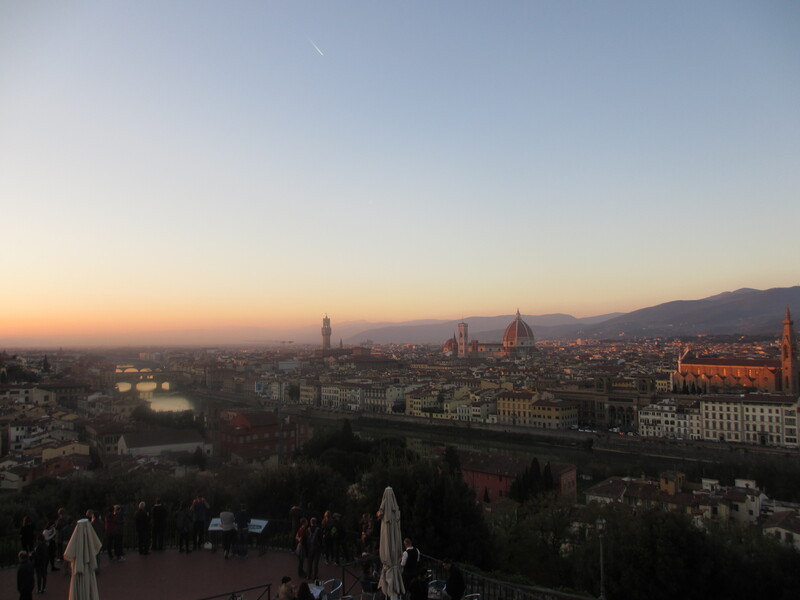 Then we promptly worked off the cannoli by climbing up to Piazzale Michelangelo for a superb view over the city at sunset. 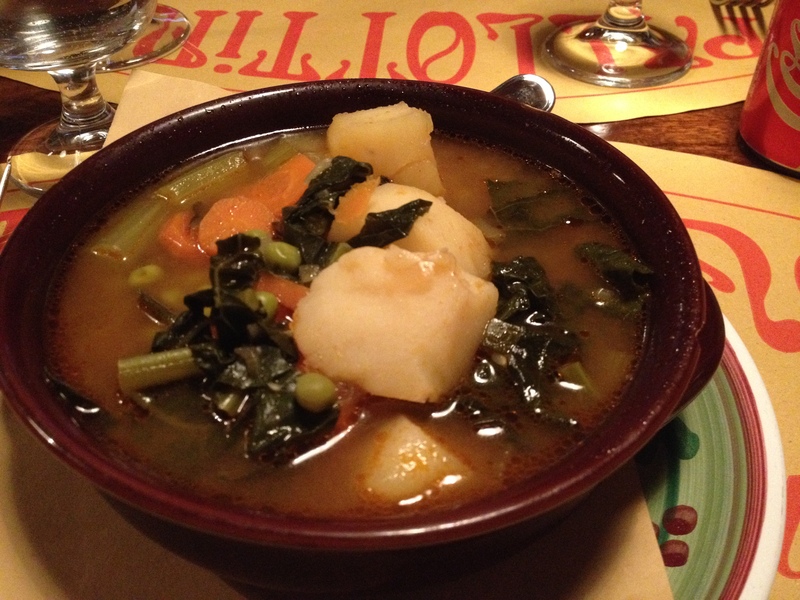 I had some authentic Italian minestrone soup for dinner, partly because I had started to come down with a cold that day! 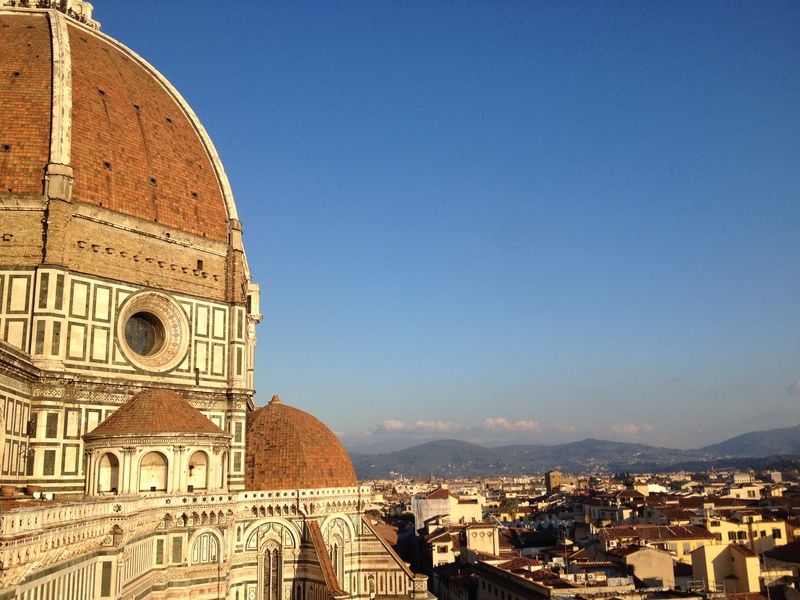 Florence was probably my favorite city of the trip. 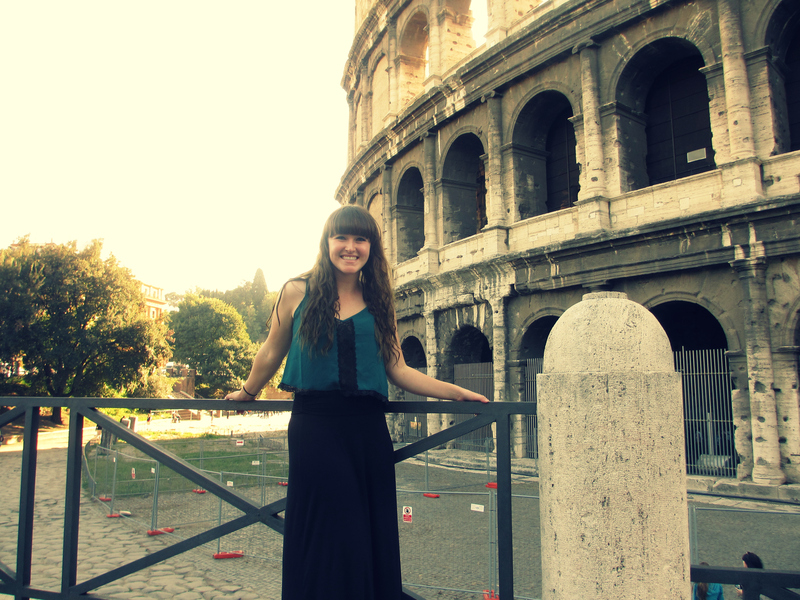 It was significantly smaller than Rome, which was nice and I loved the Tuscan colors and vibe that surrounded the city. Also living next to Botticelli and David would not be such a bad thing! Don’t judge me, but one of the first things that popped into my head was actually a Pokemon movie I had watched years ago that takes place in a fictional Venice! My inner nerd had a ball in this city. 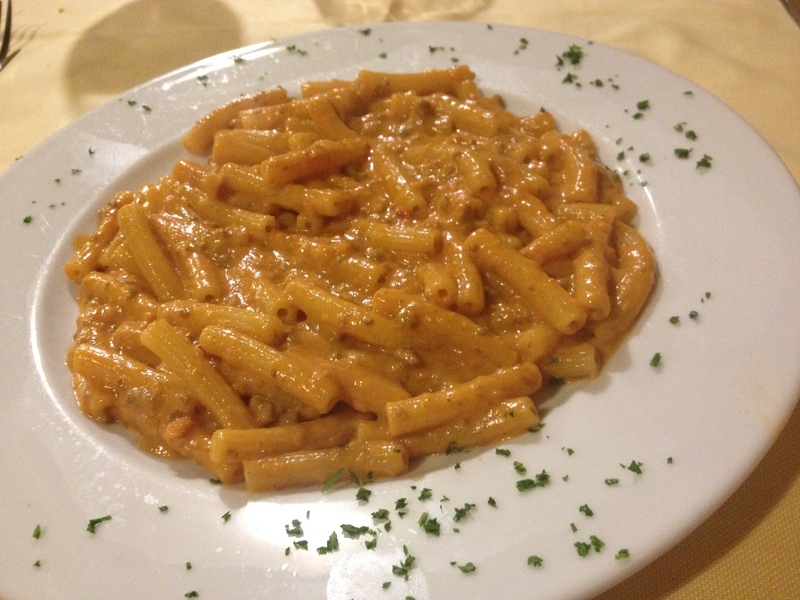 More pasta because well… Italy. I don’t even know what flavor it is, but it was good. Then we visited Saint Mark’s square, the basilica, and the Doge’s palace all at once. Thank goodness we were at the very end of tourist season because there weren’t any lines at all! 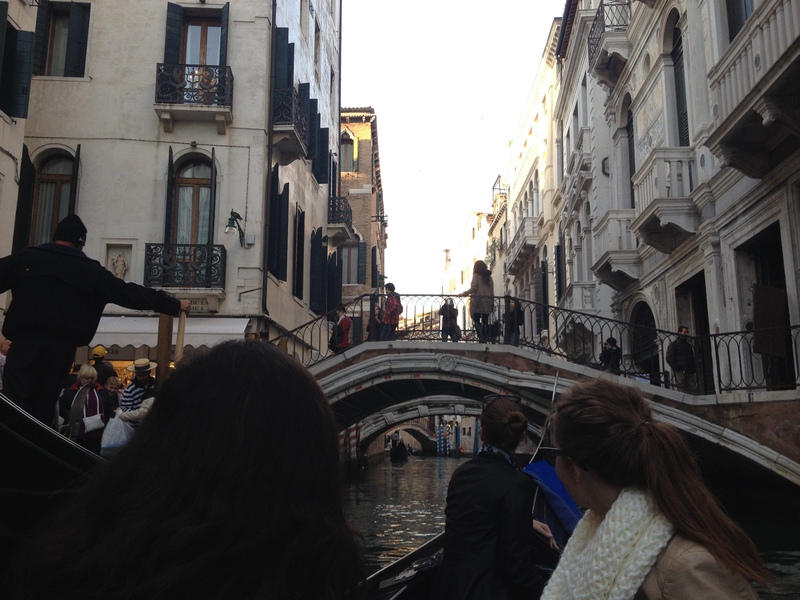 Picture from our gondola ride. And then on the way to the ferry station we stumbled across a mask store where we spent at least an hour, trying on the various Venetian masks. They were all absolutely beautiful, but pictures were not allowed in the stores. Guess what I had for dessert? You guessed right. One of these was milk flavored, which honestly didn’t taste like much since I was sick. 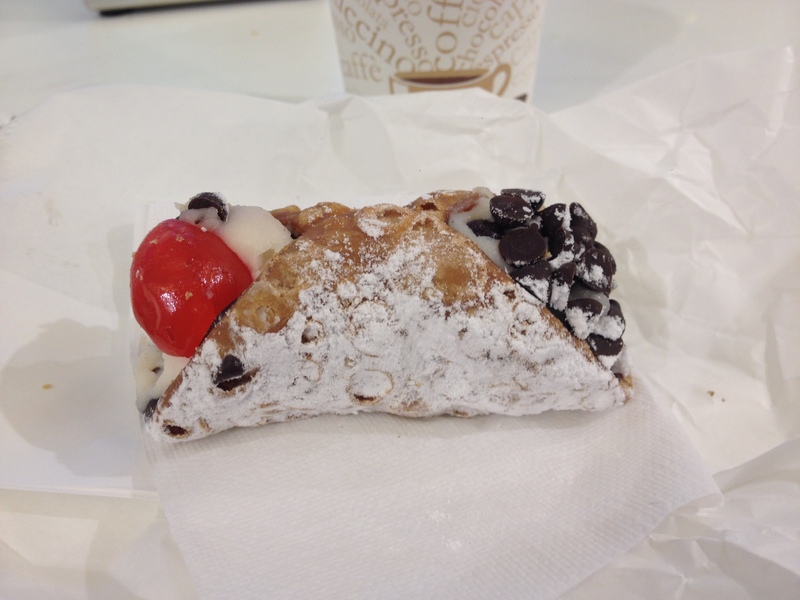 However I was able to taste the cannoli I ate later that day! 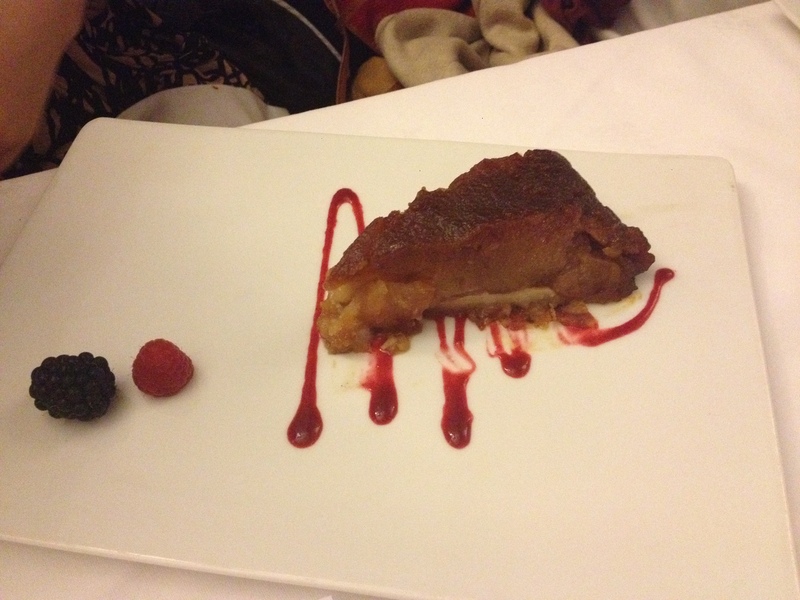 There was candied fruit on the inside! 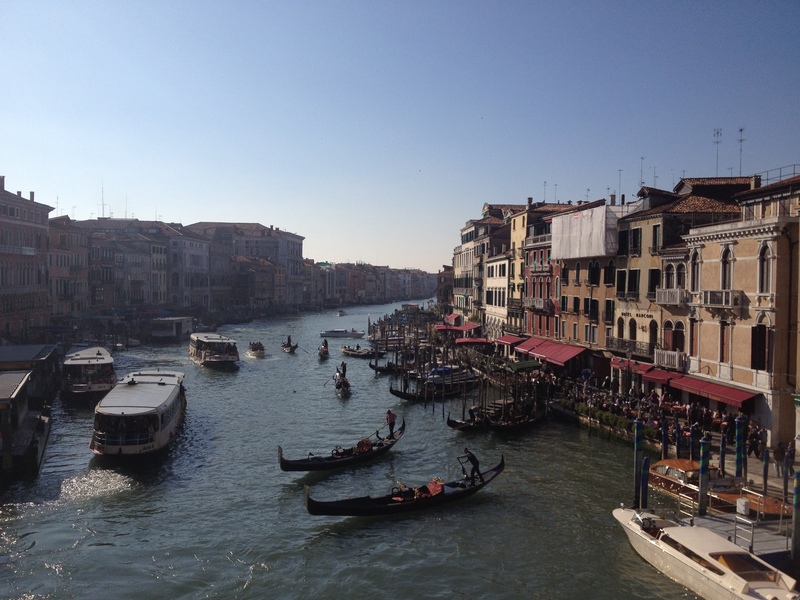 I spent the rest of the day, wandering through Venice’s narrow, winding streets. The tiny streets seemed magical during the day, but downright dangerous at night as some of them would cut off into dead ends with no warning. Venice was wonderful to visit, but I don’t think I could ever live there. 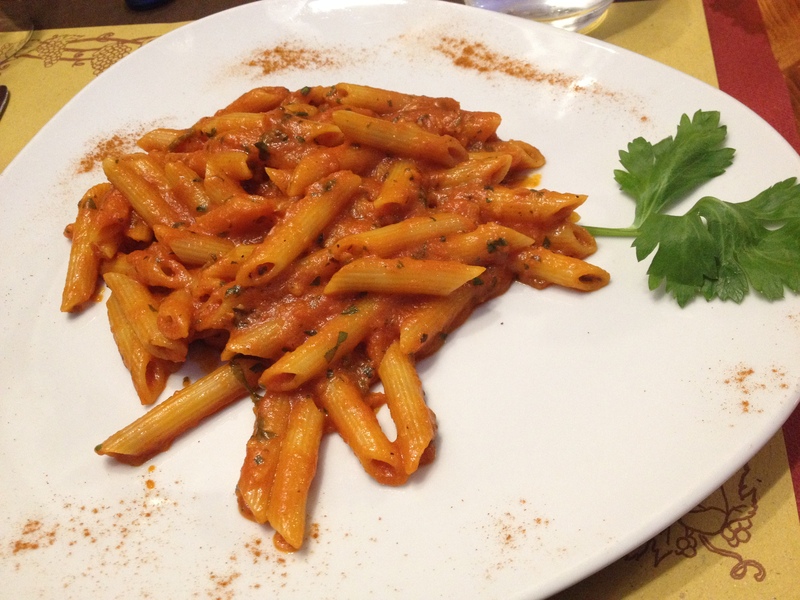 However, it was spicy pasta which did wonders for my clogged sinuses! The next morning we left bright and early to head back to Paris. I have to admit, I was very glad to be back, especially since I’d been sick the last 3 days. Travelling quickly is efficient, especially for college students on a budget, but it sure was stressful having to change cities every two days. Seriously. I don’t even want to think about the number of stairs I walked up to have “picturesque” view or see some ruins. My inner nerd is running loose. But actually, I was really early for class just the other day so I decided to have my first ever Starbucks in France. I got a mocha latte. I swear I couldn’t tell if it was just hot chocolate or if there actually was coffee in it. 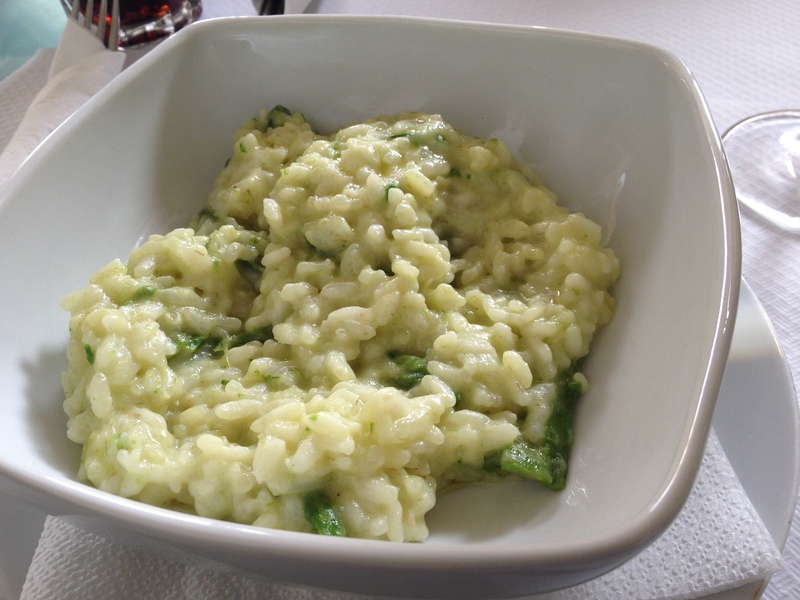 Conclusion: Italy ruined Starbucks. 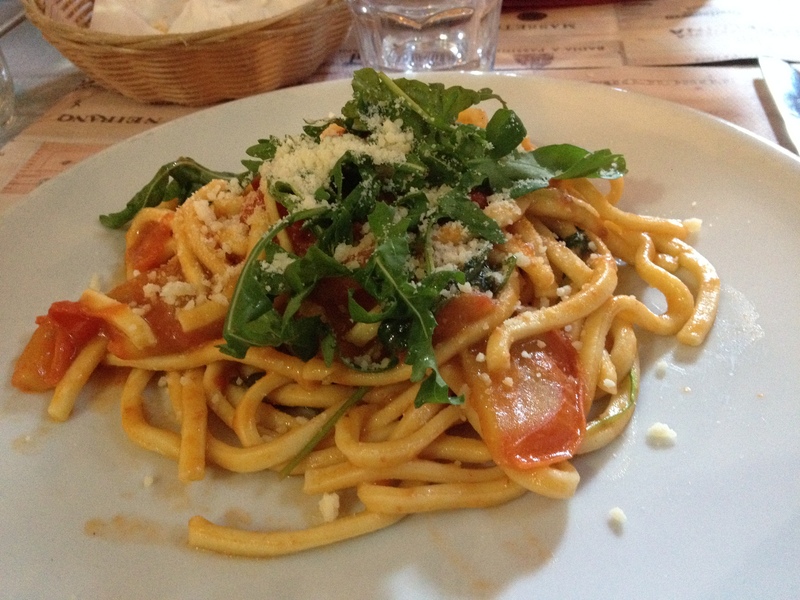 Essentially fresh tomato basil pasta, but made even better with fresh, delicious Italian pasta. Those are thin slices of ham I think and it tasted a lot better than it looked I promise. 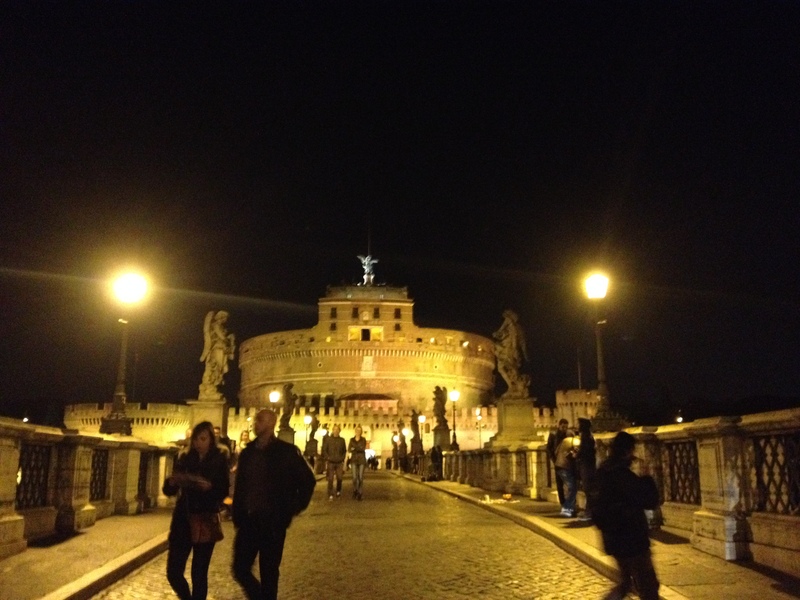 Then we dropped by Castel Sant’Angelo to relive Dan Brown’s Angels and Demons. (without the grisly murders of course) I highly recommend the book, but not the movie. That night we suffered from Rome’s 2 line only metro system and had to walk all the way back to our hostel. 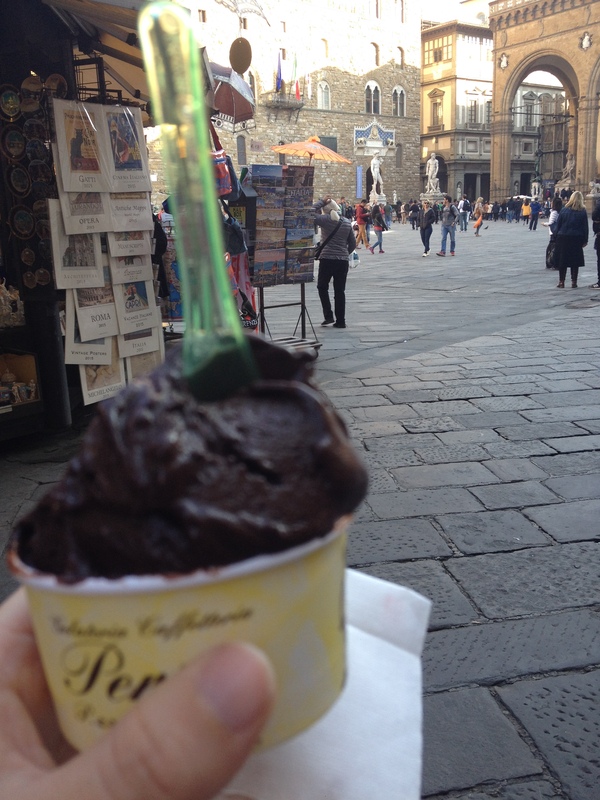 But there was a 5 star Yelp rated gelato place on the way which made everything better. 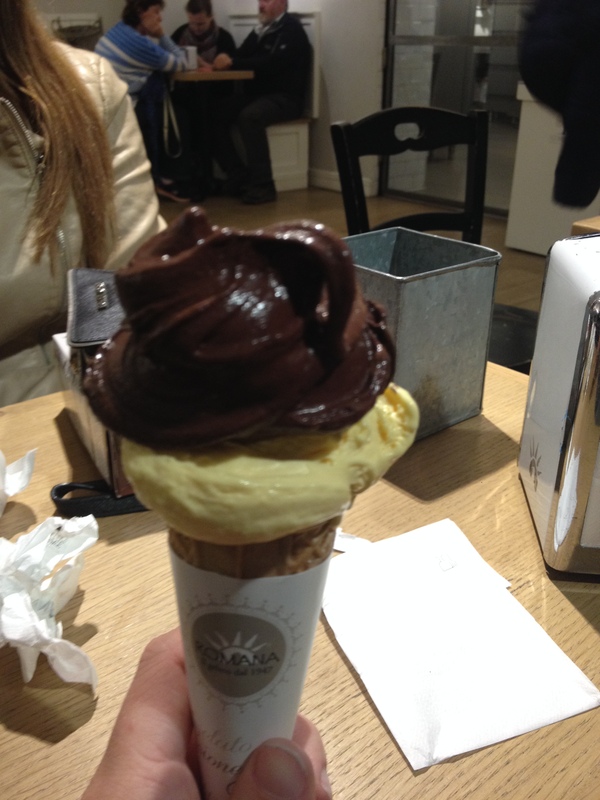 Firsr gelato in Italy: Chocolate and Original Cream flavored which was amazing. This was where I realized that I could never live in Italy. When I was deciding what to order I made it very clear to the vendor that I was allergic to nuts. He assured me that there were no nuts in his favorite flavor and let me sample it. It tasted fantastic so I asked for a scoop of it and a scoop of cookies and cream. 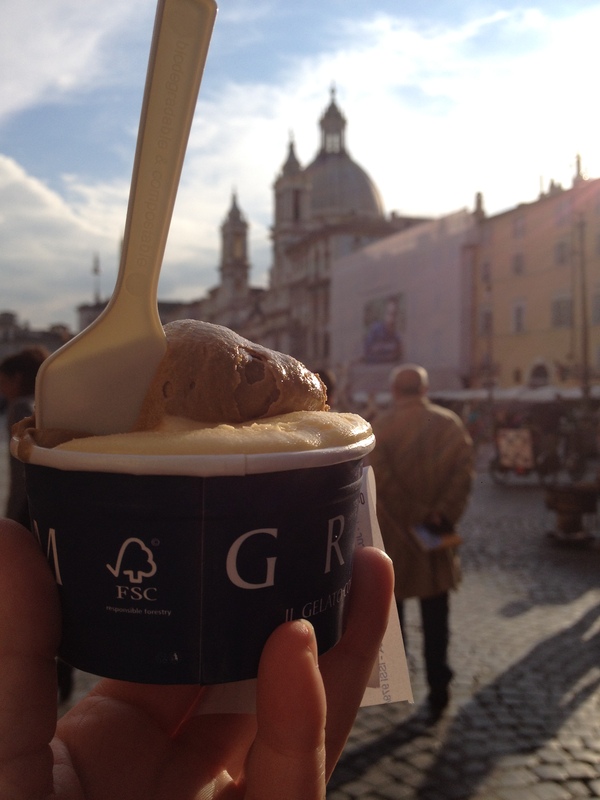 Of course, even the vendor didn’t realize that Italians even put nuts in their cookies and cream gelato. Stupid biscotti. I had my medicine on me though and got some new gelato after explaining to the woman at the register that I would actually die if I ate the gelato. Thank goodness I never go anywhere without Benadryl! Of course that could actually be said for Italy as a whole. It was a really long line. 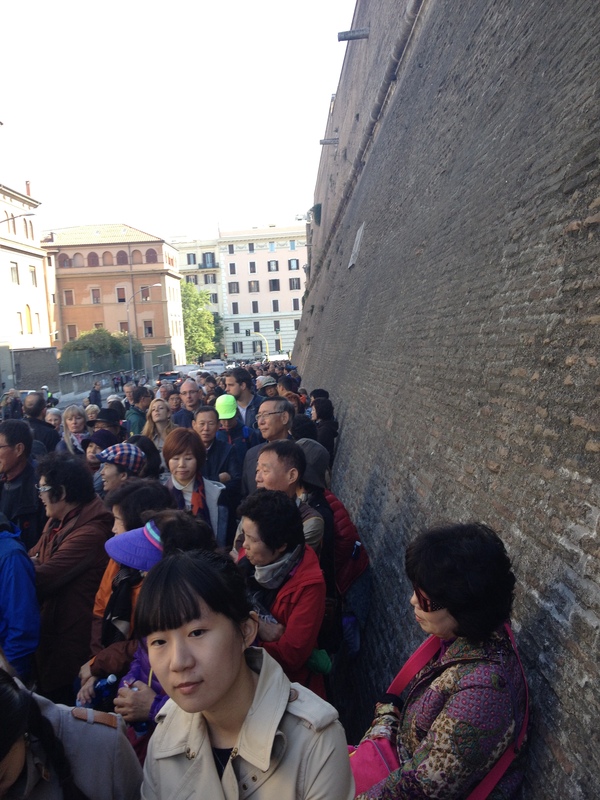 The entire museum was just a massive river of people pushing through hallways full of art to get to the Sistine Chapel. The museum itself wasn’t actually enjoyable because of that, but the Sistine Chapel was stunning. 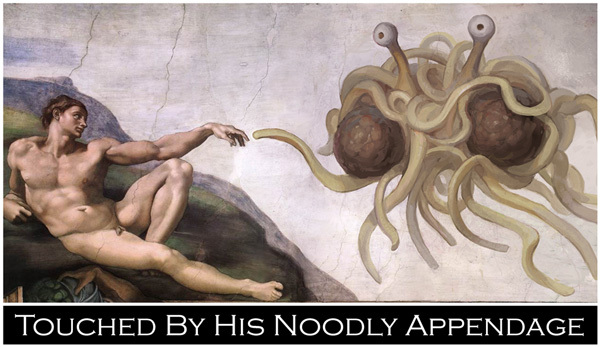 Basically Italian pasta = god. 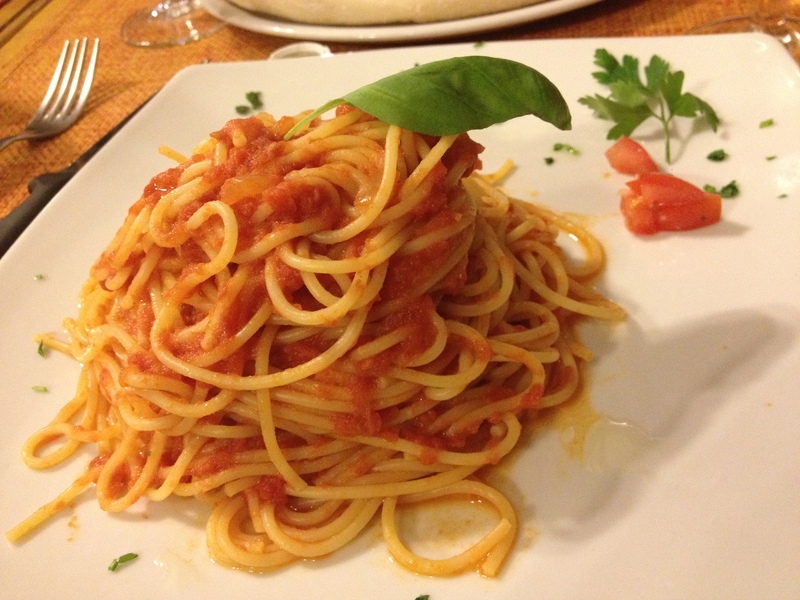 Then we checked out Yelp again for places to eat in the area and before we knew it we were sitting down at a restaurant that had “cheek fat” pasta on the menu. I blame poor translation. My cheeks and my cheek fat pasta. 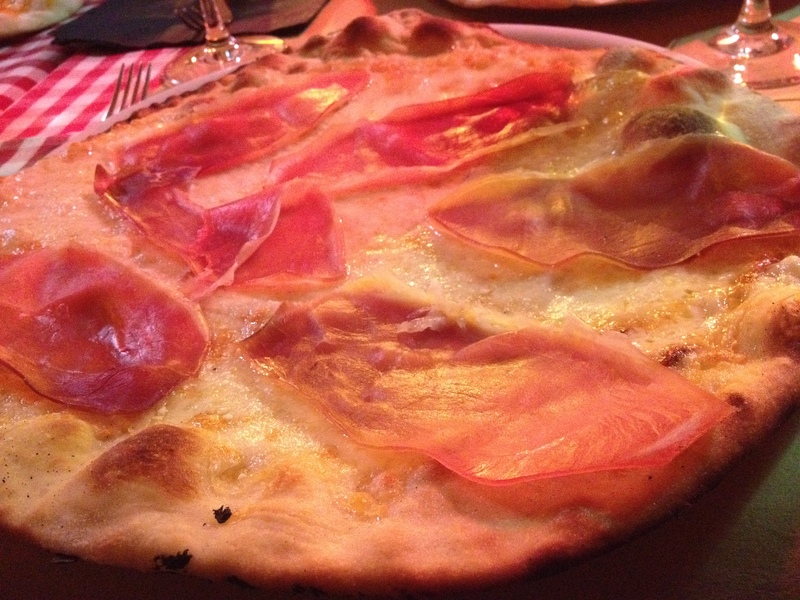 It was delicious and the “cheek fat” tasted a lot like ham. We spent the rest of the day wandering through souvenir shops and various stately monuments for one thing or another. 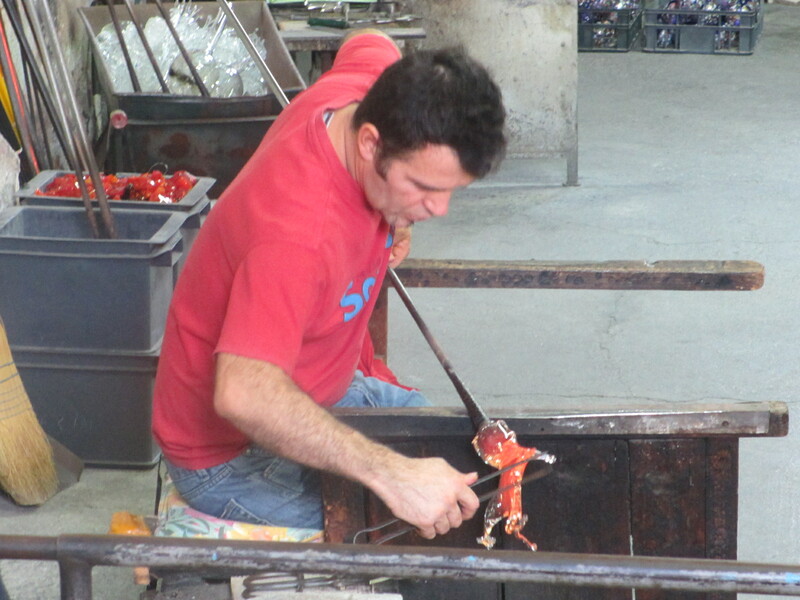 That’s the thing that struck me most about Rome. 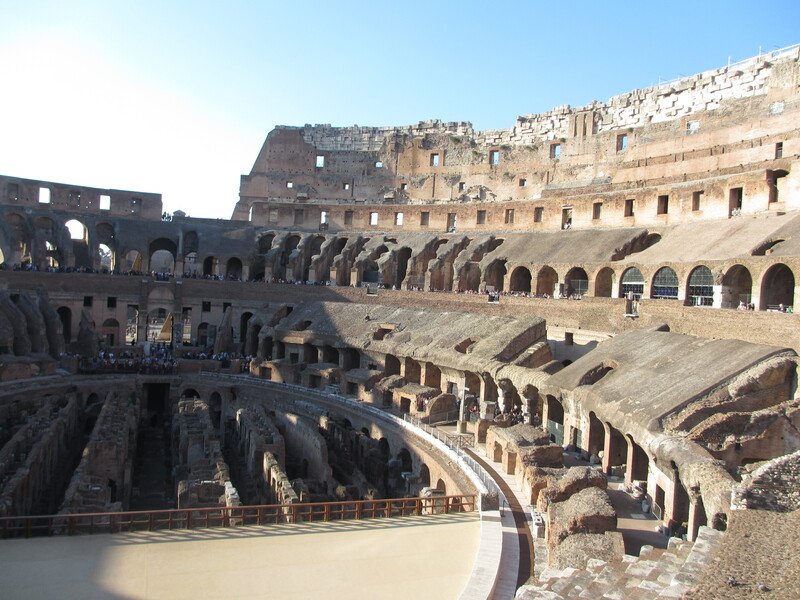 Rome was big and flashy in the classical sense. Everywhere you turned there was a new, majestic monument. I loved it! If only their transportation system was as advanced as the metro in Paris -I’ve been spoiled! 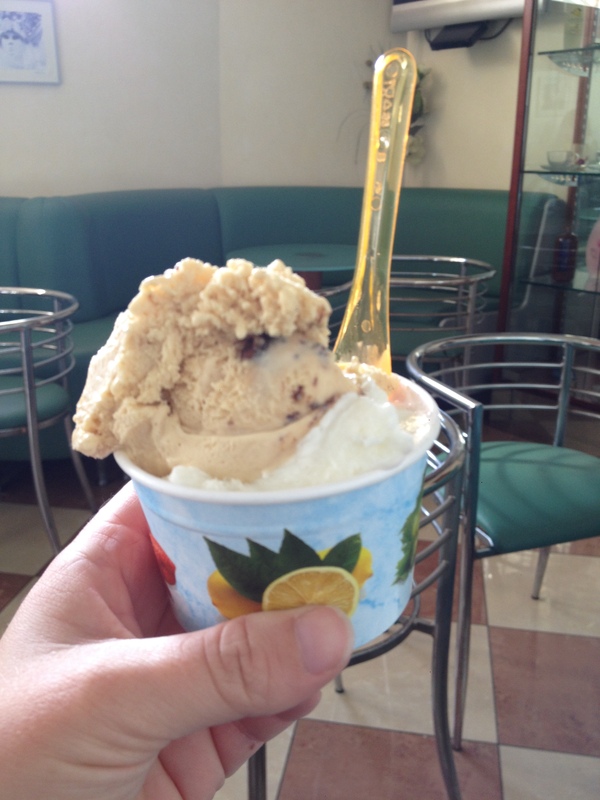 We had our daily dose of gelato from Grom, an Italian chain that is superb. Cafe and Crema Come Una Volta which was basically Grom’s original cream flavor, which has nothing to do with vanilla at all. It actually tastes lemony. Then we headed back to the Pantheon for some Italian caffeine in the form of a 1.10 euro Latte Macchiatto. 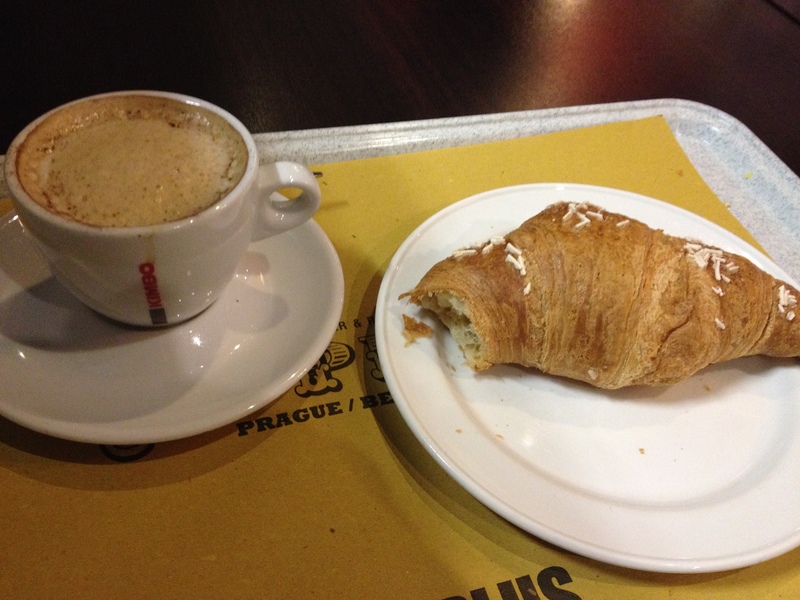 If it wasn’t for my nut allergy, the coffee alone would be reason enough for me to move to Italy. 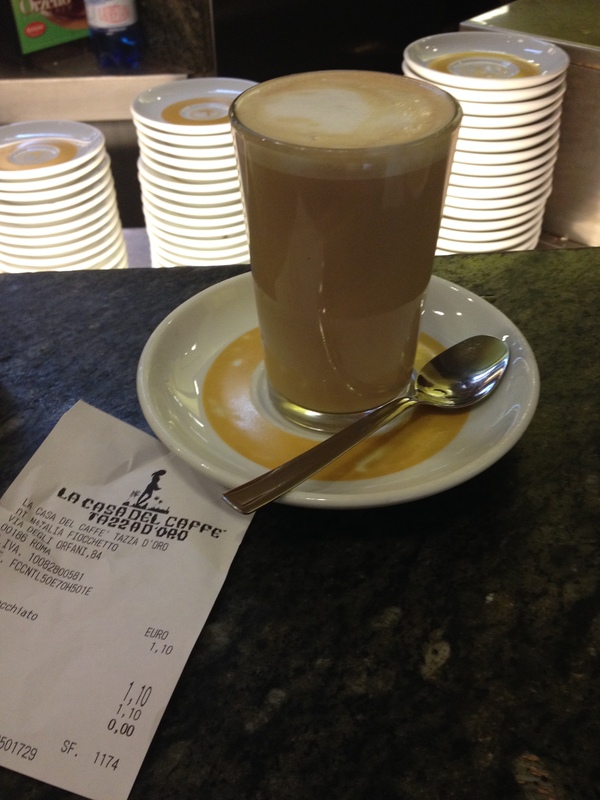 In Paris a decent latte costs around 5 euros! 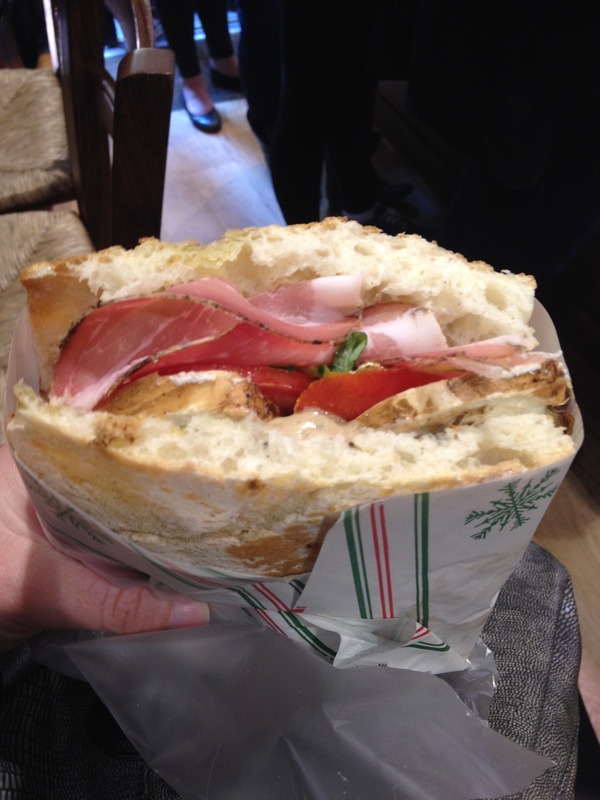 Before heading to the famous deli All’Antico Vinaio that made me the best sandwich I have ever eaten in my life. When I stepped inside the friendly man behind the counter asked me what I wanted and I told him that I had absolutely no idea, but that I’d heard that their truffle sauce was good. “Have you ever tried truffles?” he asked. “No,” I said slightly ashamed, shaking my head. I don’t think I’d ever even seen it on a menu. It was a unique flavor, but delicious and I told him so. He then proceeded to make a sandwich putting in what he thought was best. 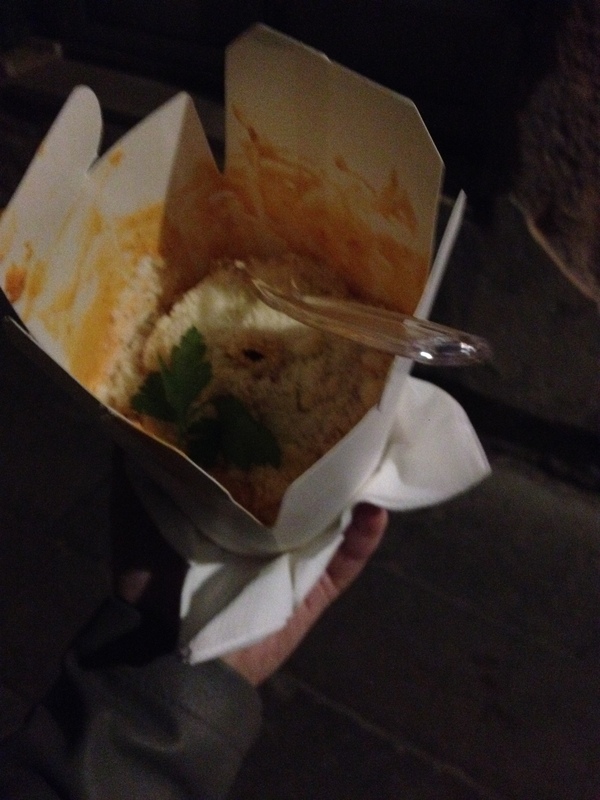 So I’m not sure what’s in it besides truffle sauce and buffalo mozzarella. That entire sandwich only cost 5 euros. Totally made my day. It’s a necessity to life. Just like coffee. Basically an espresso shot with a tiny bit of milk. A quick Google search later and I’d received my first lesson on Italian coffee. 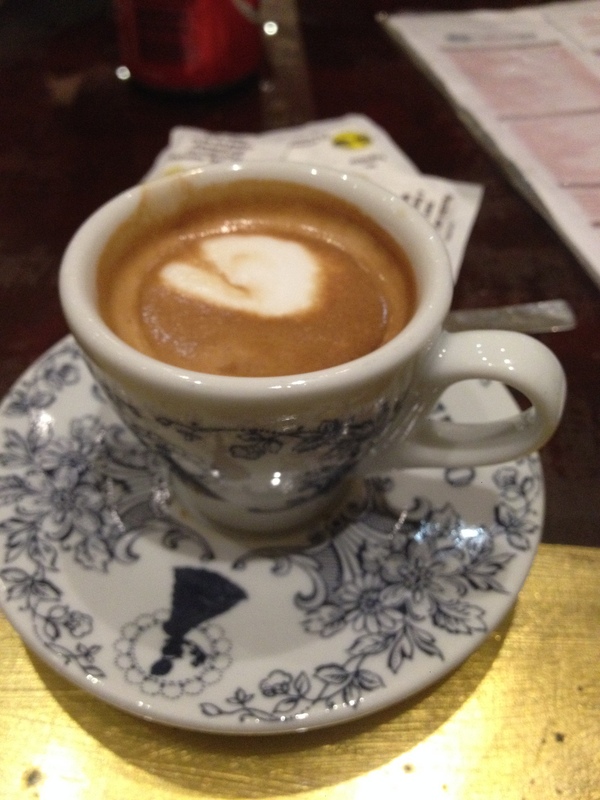 What I had just ordered was indeed a macchiato because an American macchiato (Starbucks caramel macchiato anyone?) 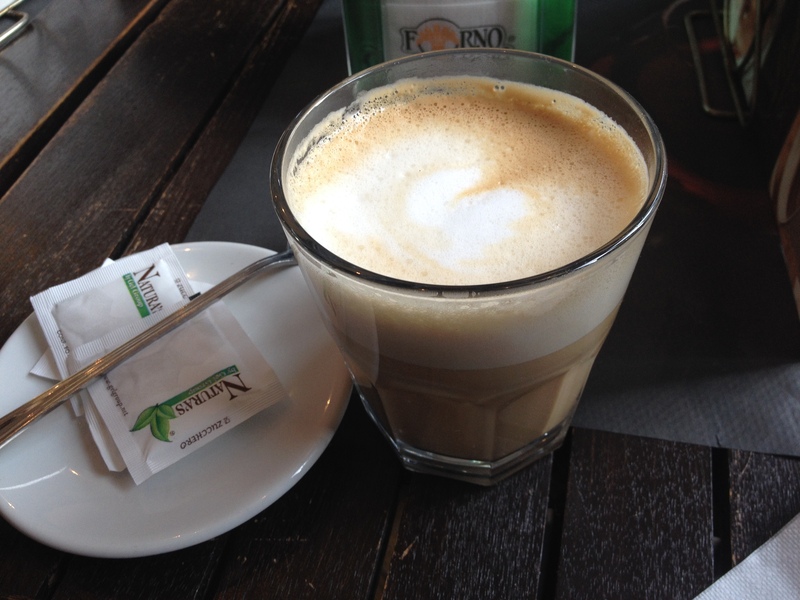 is actually a latte macchiato, but we usually drop the “latte” when ordering. 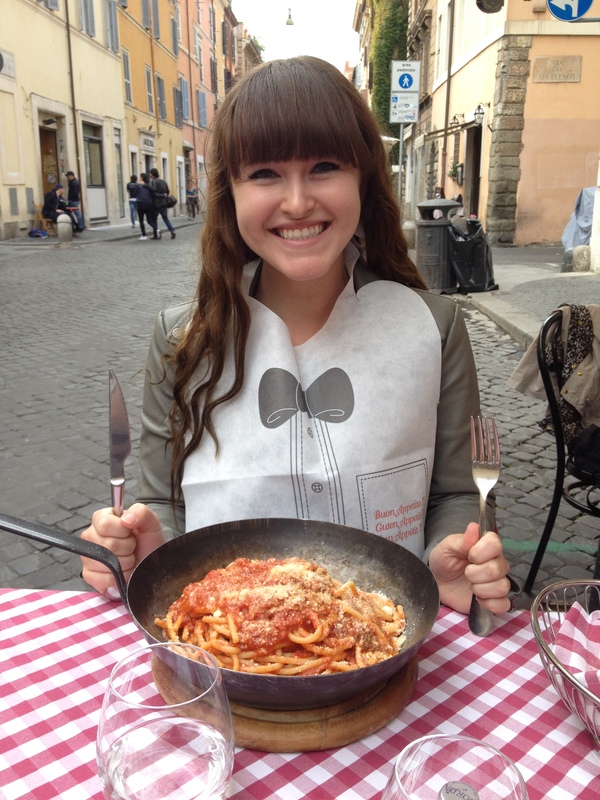 Can you tell I really like pasta yet? That was the end of day one in Florence and we headed back to our hostel too exhausted to even think about the supposed Turkish bath they had in the basement. Next time Florence, next time. 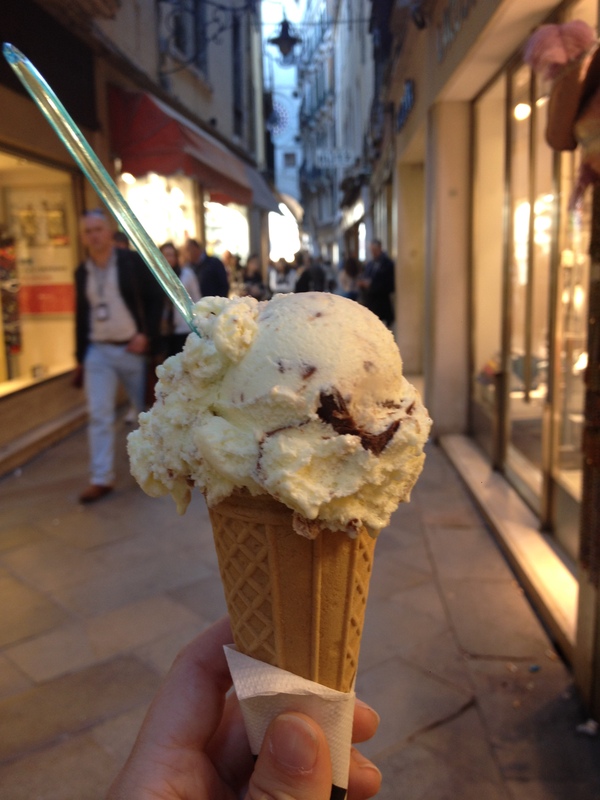 Stay tuned for the other half of Florence and then Venice: aka more pasta, gelato, and coffee! 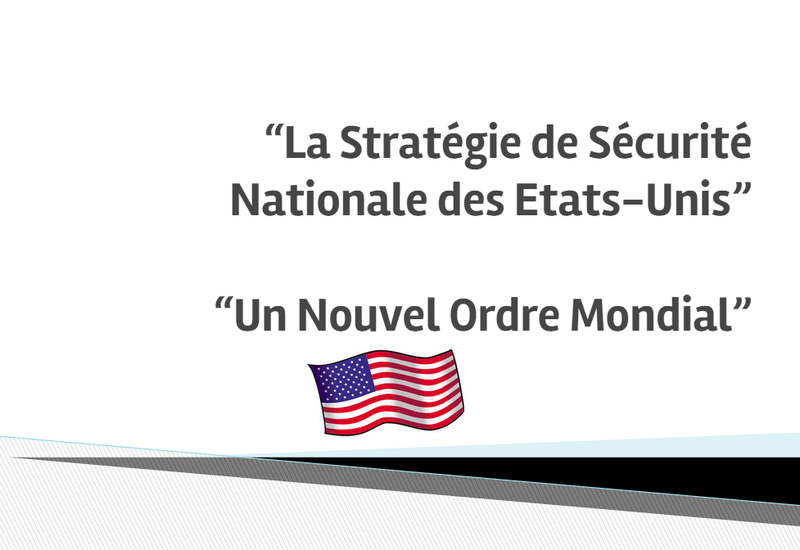 This past week was vacation time for All Saints Day in France. I’m not really sure what the holiday is exactly, but hey I’m not going to complain about a week of vacation! Sweet Briar didn’t exactly let us off of their classes, but when we heard that all Sorbonne classes were cancelled for the week, we all decided to skip the remaining classes and take advantage of valuable travel time! 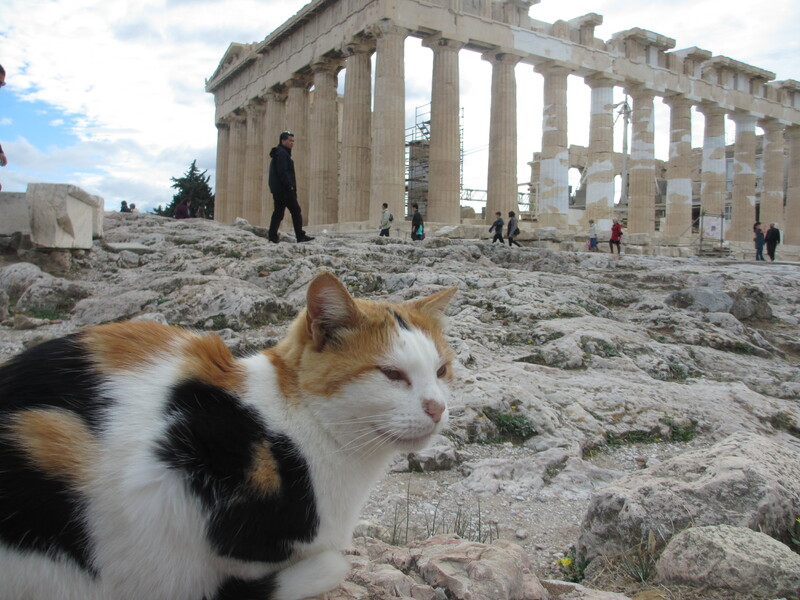 I took an easyjet flight to Athens (I’ll write a blog post later reviewing the various budget airlines and travel tips) and after a hesitant metro ride to the inner city (everything was in Greek!) we finally made it to our hostel and dropped off our bags. 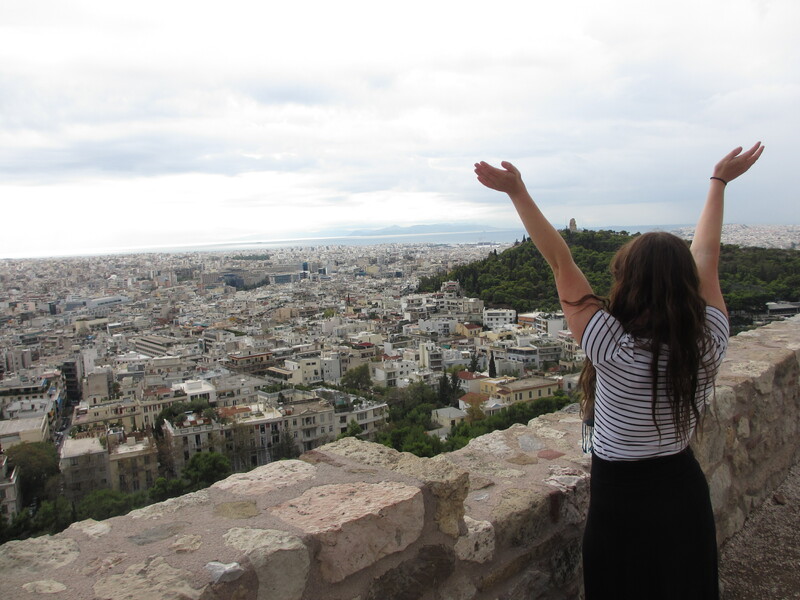 Then we climbed the giant hill that towers over all of Athens. 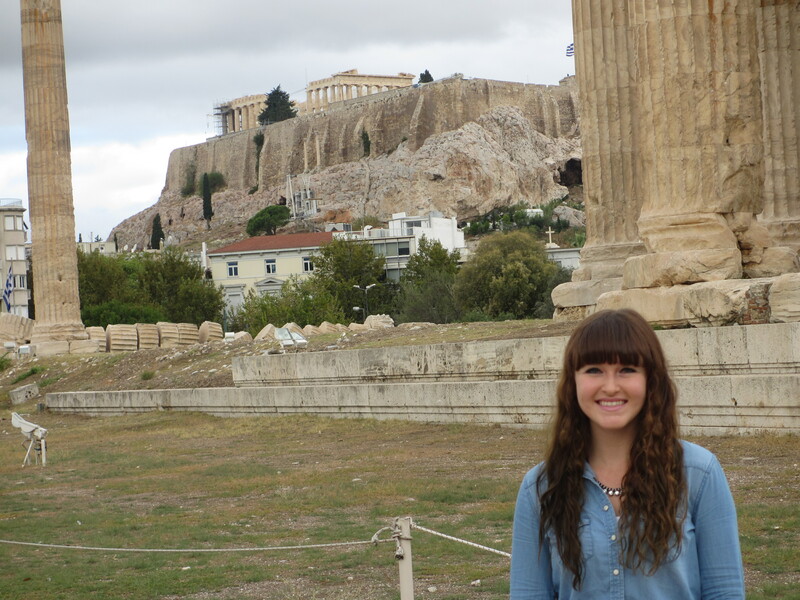 Ignore my face and Zeus’ temple in the foreground. I’m talking about that mountain looking thing with the Acropolis on top. Lots of silly pictures ensued on the march to the top, full of “goddess” and “contemplating life” poses, but this one has to be my favorite. 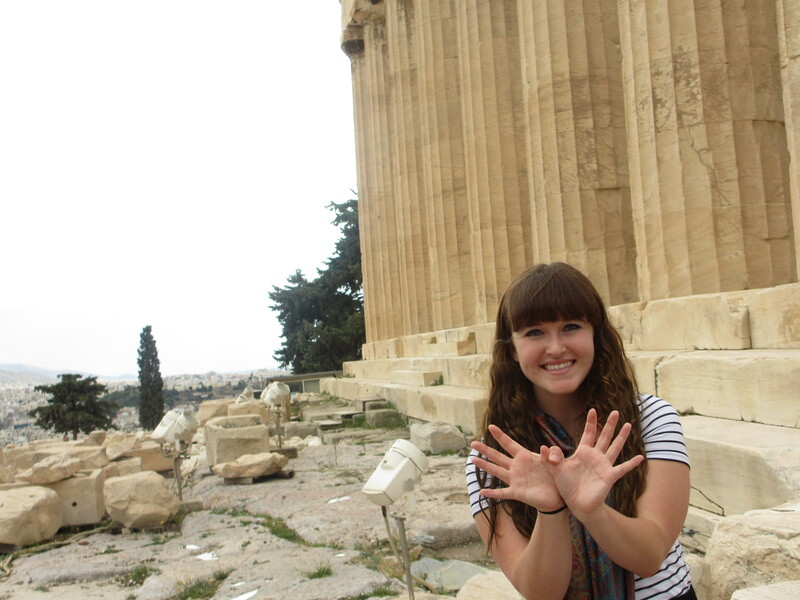 The Rice Owl in front of the Acropolis! 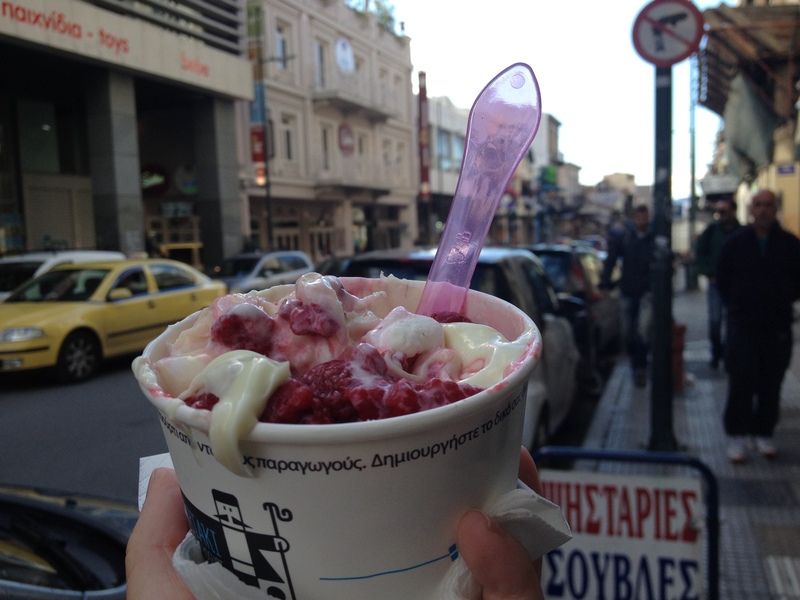 Then we wandered around the touristy streets for awhile and stumbled upon a Greek frozen yogurt shop and we had to try some. The yogurt is just one flavor (Greek) but you get to choose your toppings. 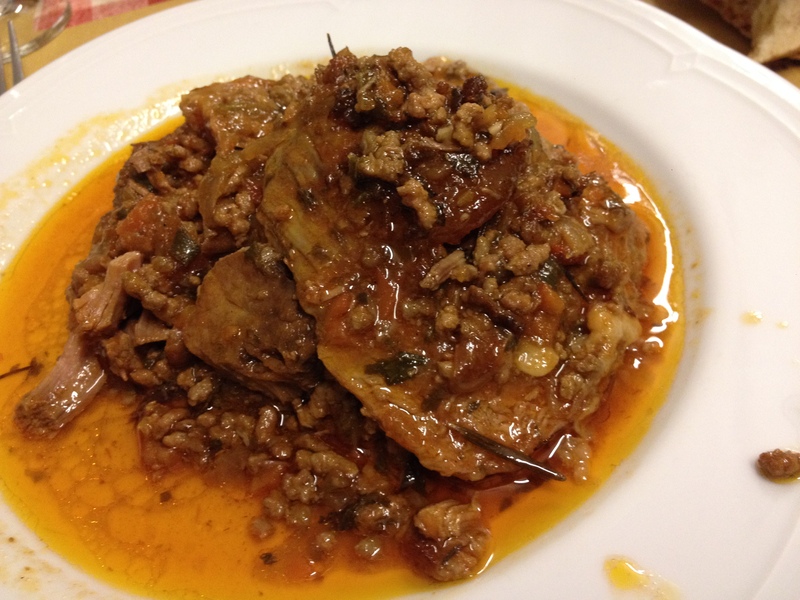 It reminded me a lot of Shepard’s pie as it was mostly a combination of potatoes and minced meat. 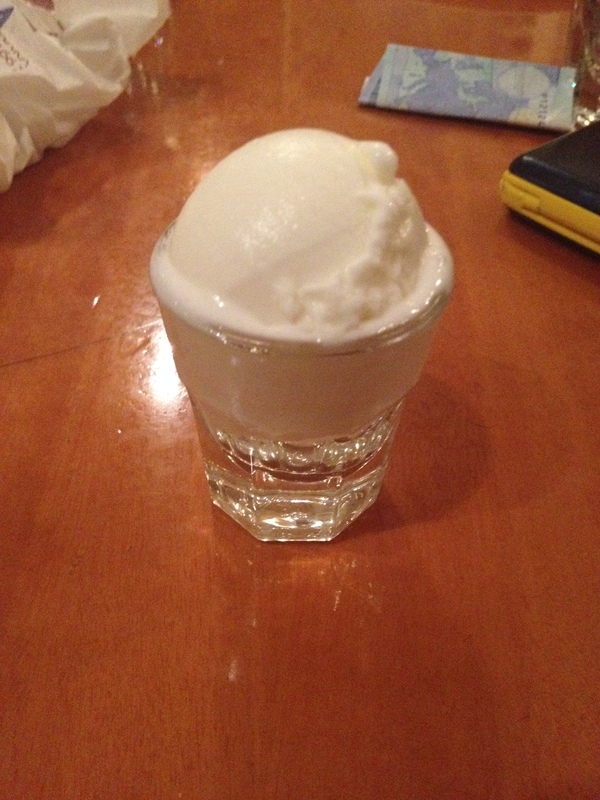 Then I’m not sure if this is a Greek thing (it probably isn’t) but the restaurant earned my eternal gratitude by giving us free dessert in the form of tiny scoop of ice cream in a shot glass. This may not be Greek, but I love them for it. The next day we headed over to Zeus’ temple. 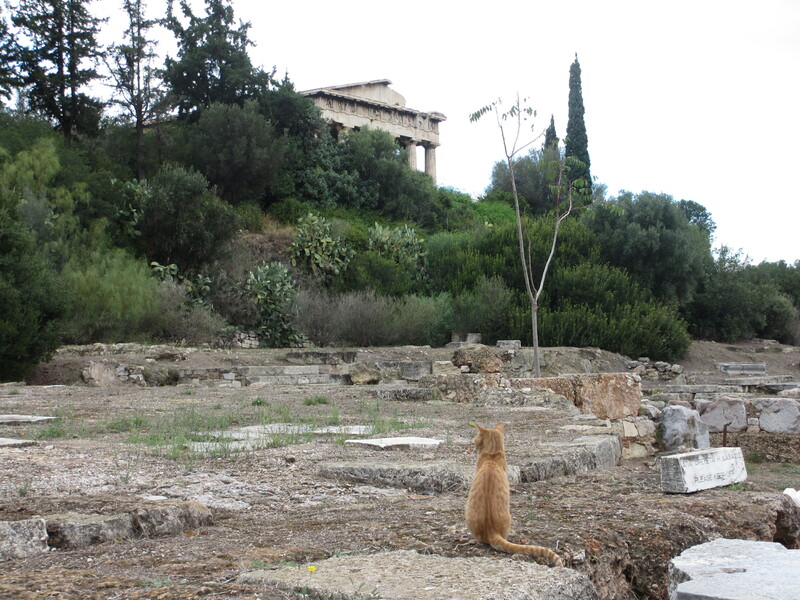 Although I don’t think Hades would be too upset about the current state of Zeus’ temple. I mean I know it’s unrealistic to wish that the ruins weren’t so ruined, but they were still really interesting, especially when we visited the Acropolis museum and got to see pieces of the Acropolis that had fallen off or had been stolen over the years. 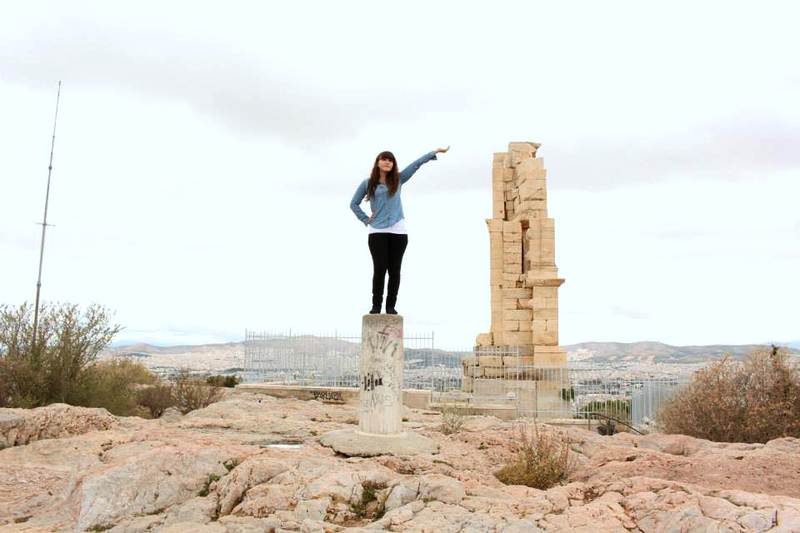 Then I got tired of seeing Greek ruins and decided to become a nice un-ruined Greek (uh Irish actually) statue. Lunch the next day was Gyros. 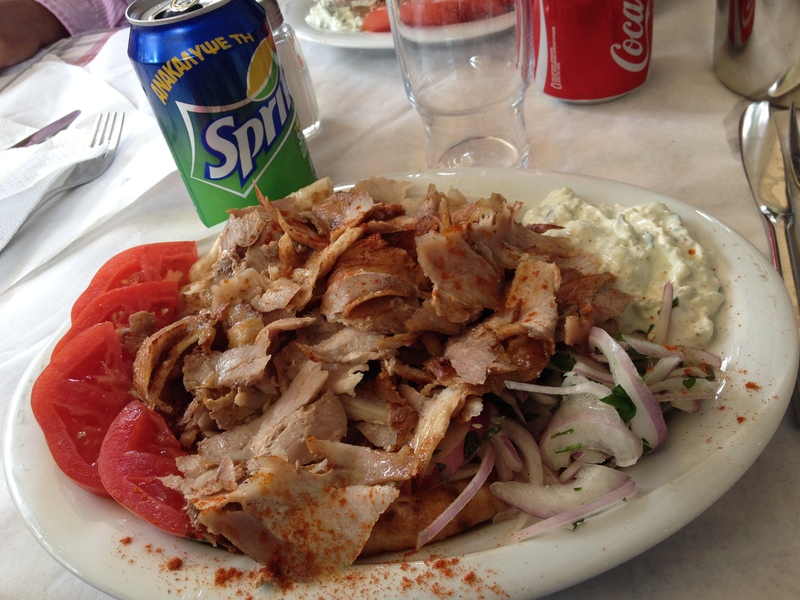 I actually walked out of one restaurant we had tentatively decided on because they didn’t have gyros. What? 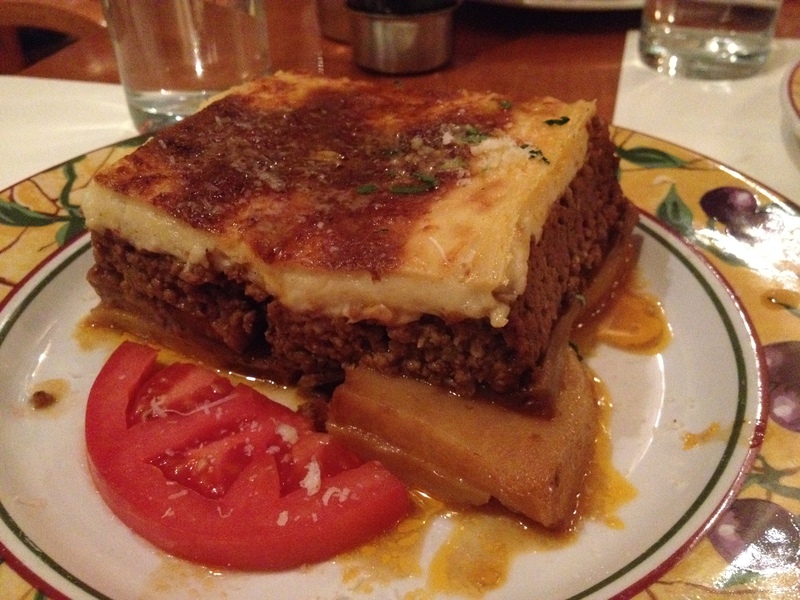 When I’m in Greece I need my Greek food! Check out that Sprite can. 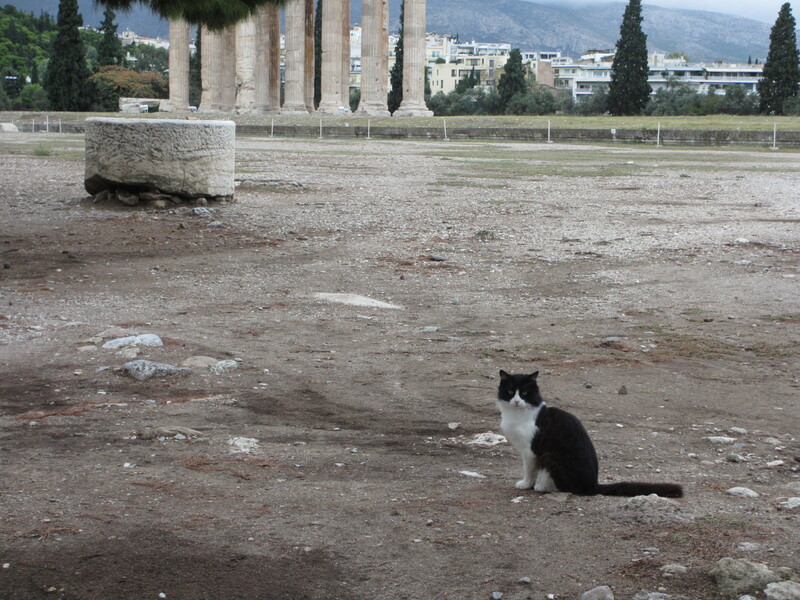 Now there definitely weren’t as many stray cats in Greece as there were in Turkey, but these cats kept showing up smack dab in front of ruins, making them the most picturesque things in the entire city. I really enjoyed Athens and it was probably just the area I was staying by (right next to the Acropolis) but it almost felt too touristy, especially for late October. It was hard to imagine myself living there, as grocery stores were hard to find and we didn’t see much besides restaurants and souvenir shops that would indicate that people actually lived there. 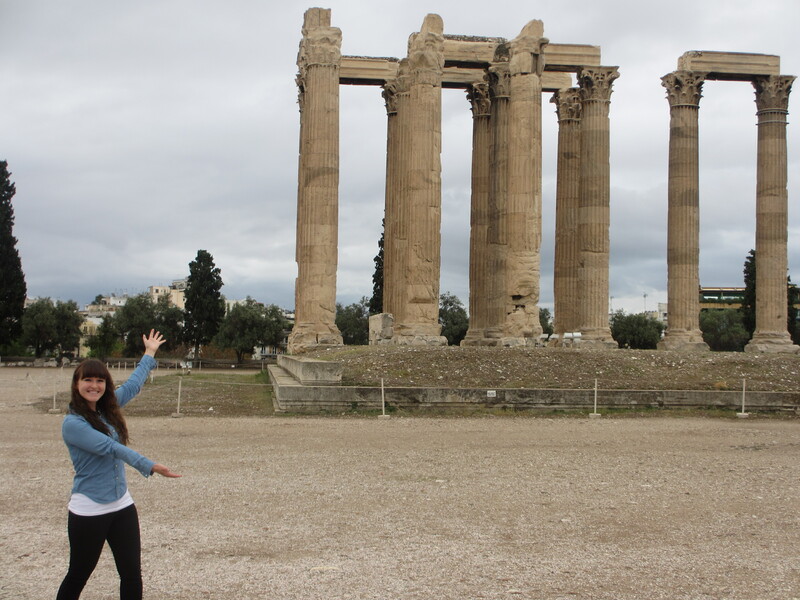 I loved the ruins though and would love to return one day and visit Delphi, Santorini, and other Greek isles. To finish I would like to leave this extremely relevant video here in regards to both travelling in general and what I was imagining Zeus’ temple to be. I’ll post about Rome, Florence, and Venice shortly!